Good for people and dogs. Broad Spectrum Multi-Purpose product? Yes! Certainly, a product that touches so many people and dogs differently. 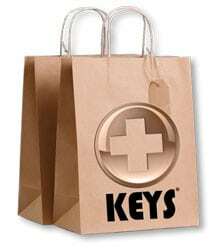 Keys RediCare offers solutions to skin disorders, internal disorders that cause the skin to react, itch and breakdown. For sunburns, burns and scrapes, RediCare performs equally as well. RediCare is a natural insect repellent and much more. It all begins with the story of how RediCare became such a universal product. It was born from inspiration, a natural disaster and the people and the animals that suffered from exposure to chemicals, poisons, exposure and pollutants. The Keys RediCare story is as important as what the product does for people and dogs today. Born as a result of hurricane Katrina, the early search and rescue teams came back with skin disorders, poison ivy outbreaks, raw skin, burned chemically and from the sun. The irritations were both visible and wide spread. The search and rescue team members, handlers and their dogs were suffering long after the weeks they spent in waste deep water that was polluted with gasoline, industrial chemicals, natural toxins, waste and everything imaginable. Members of the Chesapeake Search & Rescue Team caring about their dogs reached out to Keys for help in healing the multitude of skin problems their dogs were experiencing. Initially using Tortuga lotion, the relief was almost instantaneous. The handlers asked for a spray so that the large areas of outbreaks could be covered. Then they asked for more healing properties for chemical burns and tremendous itching the dogs were experiencing. The rest was history and we developed RediCare for the dogs. It was a short time later that the handlers realized that it worked for them as well. Over the years, we have received countless stories from people about how RediCare helped them and their family members. RediCare is very special because it is actually a sprayable lotion. Open the top and RediCare is the consistency of a thick soup. The advanced engineering technology of the trigger sprayer turns the lotion into a fine mist covering large areas. Touch the sprayer handle lightly and it delivers a spot amount of lotion that can be rubbed into the skin. This unique delivery system created a long list of uses for the pharma grade ingredients that are in therapeutic proportions. RediCare started as a natural soothing lotion and quickly became a product that integrated ancient remedies from native Americans, Australian aboriginals, Ayurvedic practitioners from India and rainforest herbalists as well as some very advanced scientific techniques to manufacture and package RediCare. Add that the specifications for each ingredient had to be the highest quality and in proportions that are effective. Efficacy is a keyword when describing RediCare. This is a product that is anything but conventional. Our engineering objective for RediCare was a fast relief broad spectrum spray that would affect many skin conditions created by a harsh environment. For people and pets, RediCare had to be a product that works fast, lasts long and has a reversal of conditions like chemical induced dermatitis, burns, sap-like natural poisons and disorders caused by illness. From the beginning, we realized that it had to be a universal product that did many things, but we did not know or realize how many. The fact that RediCare repels an estimated 200 insects and has been reported to kill lice was a bonus in disguise. So, to understand RediCare, you must understand the ingredients, why we chose them and what they do.